In 2010 Sacred Bones released the singles collection from 13th Chime which collected the scant few recordings released during their brief lifetime as well as a handful of heretofore unheard demos and alternate recordings. 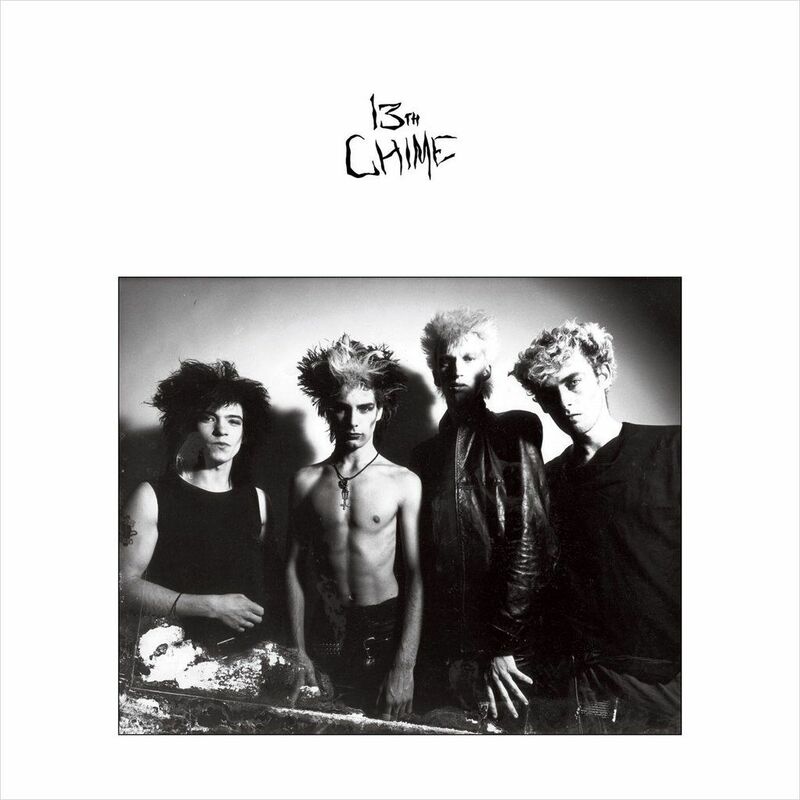 In the liner notes which told of the 13th Chime’s formation and brief ascent as deathrock contenders it was noted that there was a number of recordings that were intended for a full length release and were subsequently shelved at the 11th hour due to record company politics. Sacred Bones Records is now proud to bring to light the long-lost lp. After languishing in the vaults for several decades the 13th Chime full length finally sees the light of day. The cd version collects both the full length and singles collection plus one bonus song called “Pigs” on one disc and includes detailed liner notes that chart the band’s rise and fall.